My vote is for the Nike Zoom Zero. Good stability too. Am trying the Asics gel-court speed (herringbone). The herringbone is the clay court sole. Playing this gel on hardcourt and artificial grass, not on clay! Cannot say it really offers much, is a bit of a cheap shoe (and to buy) with no lateral movement support. Tons of grip obviously and very little slide thus. I've been reading the topic recently and haven't seen the Wilson Rush Pro 2.5 to be mentioned much. What do you guys think? I recently purchased them and they feel great, very comfy and light. I have sciatica issues and my hip is pretty good at identifying shoes with not enough cushioning. Opinions? this notion is nothing new,, so what gives? Lateral stability is needed, as is ankle support,, but come on, shoe makers,, without impact hotspot machines, I can see how many sports could use better padding in that spot..
Perhaps we are asking for the impossible? Perhaps once you pad up a tennis shoe, and 'feel' is lost the shoe becomes unresponsive, heavy, and for pete-profit's sake doesn't wear out! I consider it a bit of a mystery. Basketballers get through shoes at a rate of knots, and hardcourters do too. Tennis shoes seem sort of oddly underdeveloped technologically, as if we're still wearing volleys on grass, as if they haven't caught up with the demands of the faster h/c game. What do you think about these insoles ?? They are claiming they are the best for athletic shoes and athletic purposes. Any opinions ? ^^^ $80 for a pair of insoles is very steep! I use some Callaway PU inserts and they make any of my shoes to feel great, with a nice spring in the forefoot. I thought more expensive means more professionally made with material that is more expensive which would hold up better over time and provide better cushion and support ? 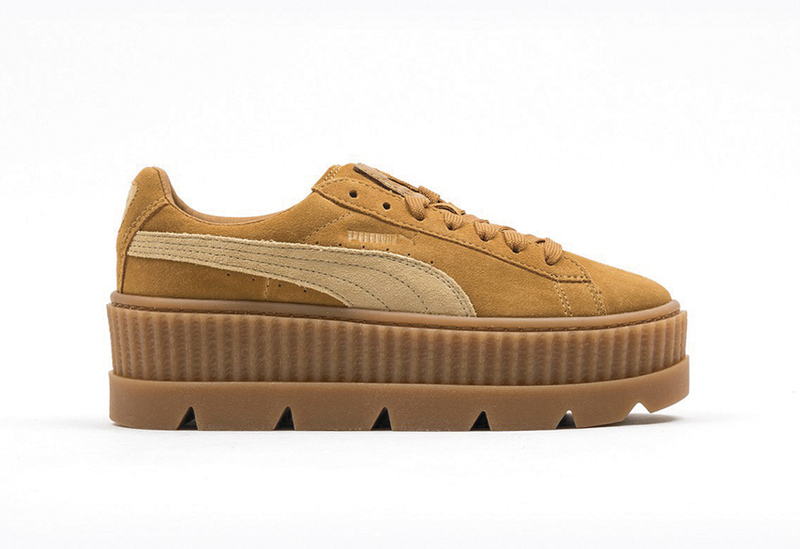 Reckon they cld knock your size up a half or maybe whole size. Green superfeet which is the most known hurt my feet too. Orange superfeet are the most soft and helped me a lot. I can also vouch for Sofsole, which was recommended by many posters on this forum (I used Athlete). 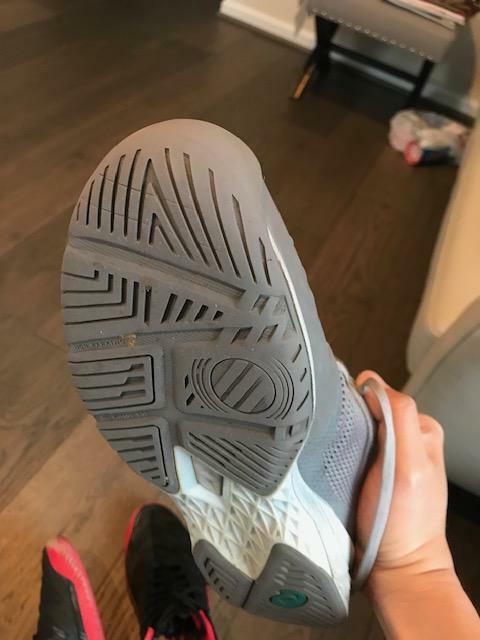 The fact that the gel on these insoles get to the point of looking like they've been splattered off the insoles after I've used them for a while shows how hard tennis can be on the feet, or maybe for me at least. I also used superfeet, but felt too hard for tennis for me as well, but it would probably be great for my work shoes. But I use powerstep insoles for my work shoes and they are great. 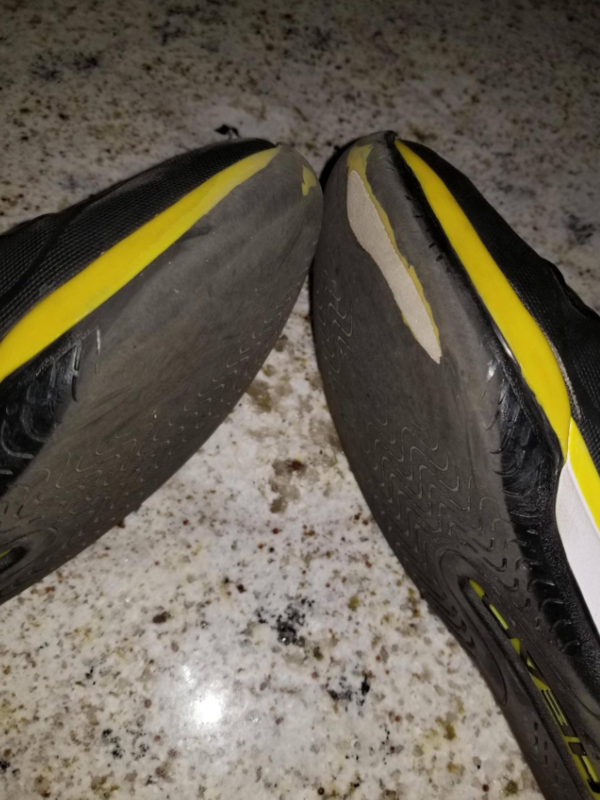 I think the unfortunate thing is that the aftermarket insoles are so heavily catered to runners and us tennis players are left trying to make due with what we have available. I guess it makes sense since running is the big market. @Nostradamus if you live in the US, might be worth checking to see if there is a store called "Road Runner Sports" in your location. It's a running shoe store, but they have a gimmicky setup where they will have you walk/jog for a few seconds on their treadmill with cameras recording your feet, and they'll give you their full analysis of your feet and running tendencies, and will recommend certain types of shoes based on that. What could be relevant for you is that towards the end, they have you stand on a pair of insoles that get molded to your exact foot, and they'll let you try on their shoes with those insoles and you have the option of buying the insoles for something like $70 or $80. The nice thing is that you know for sure those insoles will be as close to a "perfect fit" as it can get for your feet, but I personally did not buy them because I didn't feel comfortable with the price point. But since they don't require you to buy anything after all that, it might be worth a try and you can even see how they feel on their running shoes to get an overall feel for the insoles. Before I considered cushioning, I had worn down a shoe so much that it started to hurt my foot. However since then I have found a good solution that works for me. Spenco Polysorb Cross Trainers and I also improvised and added some additional padding underfoot so now its more comfortable. I'm a middle aged pickleball player and I created an account here to thank the people who recommended the Adidas Crazy Light Boost. I play very aggressively, with lots of sprinting and jumping. The last couple of years my knees were giving me pretty serious issues and pain that physical therapy didn't solve. I tried the best cushioned tennis shoes, including the Yonex Eclipsions, to no avail. After some time off and the CLBs, I've been playing more than ever with zero knee pain. The support, stability, traction and cushioning are out of this world. I do agree with the assessment that they lack durability compared to tennis shoes. I obviously don't toe drag on serves, but I do lots of extension and fast movements that immediately began wearing the shoe upper. I painted it over the wear areas (black shoes) and it's held up great, although somewhat worn now, over the last couple months of playing. Thanks again and sorry if this violates the sanctity of the forum. Can you use it on clay courts? That’s the Crazylight Boost 2018. The tread pattern almost looks like it was made for clay. It’s herringbone-like and the grooves are set far enough apart that you won’t get too much material stuck in them. I use the CLB 2016 on clay and it works great. Clay is actually a good surface for it because the outsole will last longer than it would on hard courts. The CLB2016 has a thread pattern that is more reminiscent to a traditional herringbone outsole pattern. I don't like that one as much. 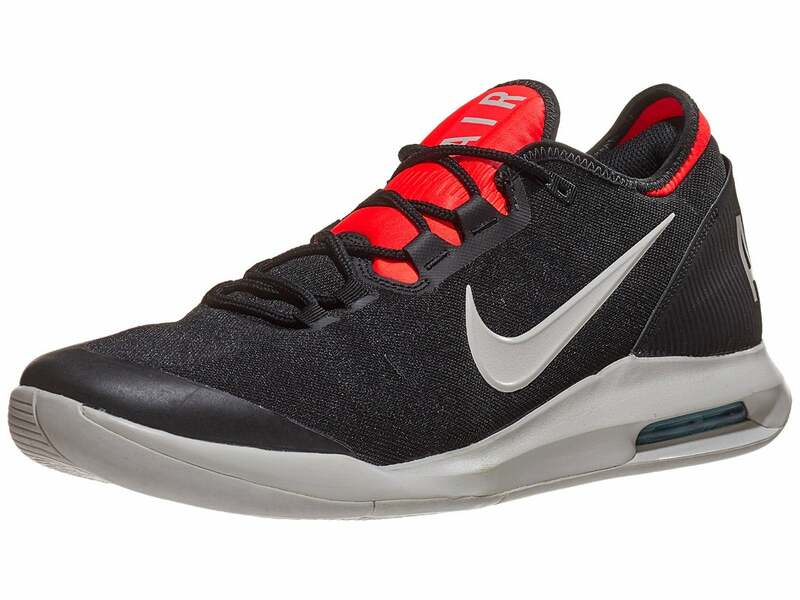 I'm really interested in the basketball shoe recommendations here, like the Crazylight Boost and KD10's, and I might also just go down to the local outlet mall and check out some shoes I could potentially use for tennis since there's always good deals on basketball shoes from Nike/Adidas/UA, while none of those sell tennis specific shoes at the outlets. But I am not sure if I belong in the category of toe dragger or someone who would wear out basketball shoes pretty fast on hard court - I don't think I am based on the fact that I don't slide, but I did own a pair of Reebok Iversons back in high school for daily hard court tennis and those wore out pretty fast. Here is a picture of my current Barricade Boost that I've been using for ~4 months, playing on hard court about 2-3 times per week, and once on clay this week. I don't see much wear, but I can't tell if this is more of a testament to the Barricade durability or if I'm not too hard on my shoes. Based on what you see, how much do you estimate shoes like Crazylight Boost or KD10's or other basketball shoes mentioned here would last me? Yeah, that is pretty minimal wear. The thread of the Barricades looks practically new. However, some people that have used CLB complain that they don't last, so the opinions are controversial (probably based on style and wear patterns). Own the Barricades and the CLB. Barricades show little wear after a season but lost their cushioning even after replacing the insole. CLB show no wear after 3-4 mos. If durability is a big concern the majority of basketball shoes will probably disappoint you. Most of them are made for indoor wooden floors and the shoe companies have figured out that they make more money if their shoes don’t last that long. Basketball shoes made for outdoor courts would do better, but there aren’t many of them. I wear my Crazylight Boosts only on clay, and I’m not hard on my shoes, so it works out for me, but I know the soft soles aren’t going to last long on hard courts for someone who’s hard on shoes. I have around 30 hrs with the CLB and almost no wear, but others say differently, so maybe good to know. That’s great! 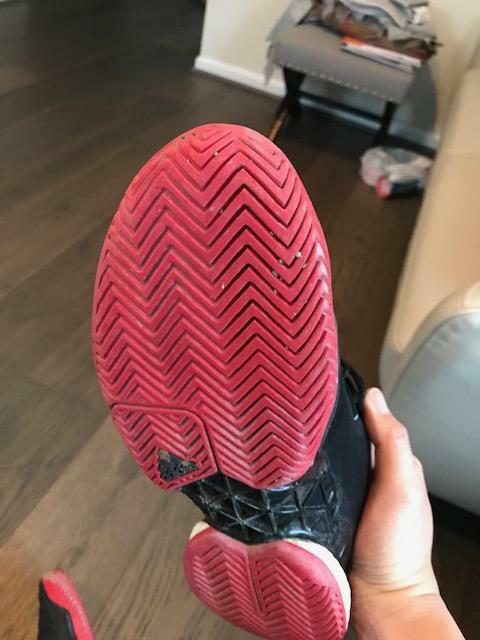 I think it’s probably worth spending more money to replace worn shoes if you like the shoes a whole lot more than the durable ones. I like CLB’s enough that I’d probably rather buy 3 pairs of CLB’s than 1 pair of Barricades. air max and lunar combo!!!!!!!!! My personal experience with Air max from nike is nothing to write home about it. It looks cool for sure. I just find it hard and very much prefer foam based cushioning instead. Throw those shoes away. the cushioning is probably dead by now. your jumping ability is gone now. You have definitely nothing to worry about. i agree with you. I had a lot knee pain after playing for a few years. Icing my knees down after I played. I thought the Air Max was good for my knees, i.e, softer. I was having my knees injected with HA twice a year to keep them from hurting so much. I bought a few pairs each year. Finally tried a different shoe because the Air Max variety did not have my actual size available. I was amazed at the difference the new shoes with the squishy Air Max feature made. I equate it to being on a marshmallow when you play and push off. It was actually putting more stress and strain on my knees , legs, and feet. I was so upset with myself for not figuring this out sooner. I was run the midget, softer shoes easier on the legs. I have thrown all the Air Max ones I had out and am using a foam based cushioned shoe instead. My knees and legs appreciate that. 15.2oz for a size 10.5 shoe?? Sounds like ski boots. Thanks for the helpful input as always everyone - ordered a pair of crazylight boosts which is scheduled to arrive on Friday. With the current sale price it was a no brainer for me. I'm not willing to take that chance and even try a pair if they had that combination after going through the leg pain with the Air Max versions I used. to each their own, what air max shoes have you tried? Cool avy Gino.. I wished I never got rid of my classics, or (which are now) vintage Hosoi's. Years ago, Nike encapsulated all of their visible air shoes (or Air Max) using dense polyurethane foam. Cushioning and stability was awful (prime example Air Ace). I'm pretty sure that's not what mctennis is referring to. As for the Air Max Wild Card above, it sits low & appears to be caged in well by the lunarfoam, and also appears to have an lightweight/flexible/breathable upper. And a nice toe guard for us neanderthals. Why it comes in at that weight is inexplicable. I am all for losing some lateral stability, but not at the price of increased weight. Hopefully that's a typo. I totally get the concern with weight. But if you're using well-cushioned shoes, you have to make the assumption that they're naturally heavier and more bulky. The breathe cage (i and ii), air max cage, and lunar ballistec series were all extremely heavy shoes, but did a great job protecting joints and providing cushion. I think we've moved too far in the direction of speed oriented shoes and at what point you sacrifice all of the things that make a great shoe in order to feel quicker on the court? I don't know, but the lack of cushion in the Vapor X surely concerns me. Yeah, love the SC area. We used to frequent the Pajaro Dunes, Cannery Row/Carmel Valley further south, and HMB to the north. Mendo has been are go-to lately. Norcal Coast is absolutely breathtaking. There has always been a trade off between added cushioning and increased weight. This one appears to have a modified running shoe mid-sole I imagine the cushioning is sufficient. I always preferred lighter more agile shoes.. being well versed on the toll the body takes when using them. Still may try the Max's. I really liked them until they made my legs worse when I played more than twice a week. They were Air Max Persistance. I should have put my statement differently as " I, personally, would not take chance on using them." with my experience with them. You are right, to each their own. What works for one may not work for others. That is why there are so many shoe varieties out there to choose from. I definitely recommend that you try other Nike air max tennis shoes before you make a blanket statement that might influence the opinions of others. Have you tried any of the flagship air max nike models in the past 10 years? Breathe Cage 1/2, Courtballistec, or air max cage? When was Tunned Air a budget technology? From what I know it was and still is, sold as a premium Air cushioning! Mine had no red in the heel area. These were not the ones I had. Perhaps I was wrong about the Max model name. Mine had a different color toe edge , like a gray color. I know they were over $100+ when I bought them. I normally never buy the budget model, just for the reasons you mentioned.